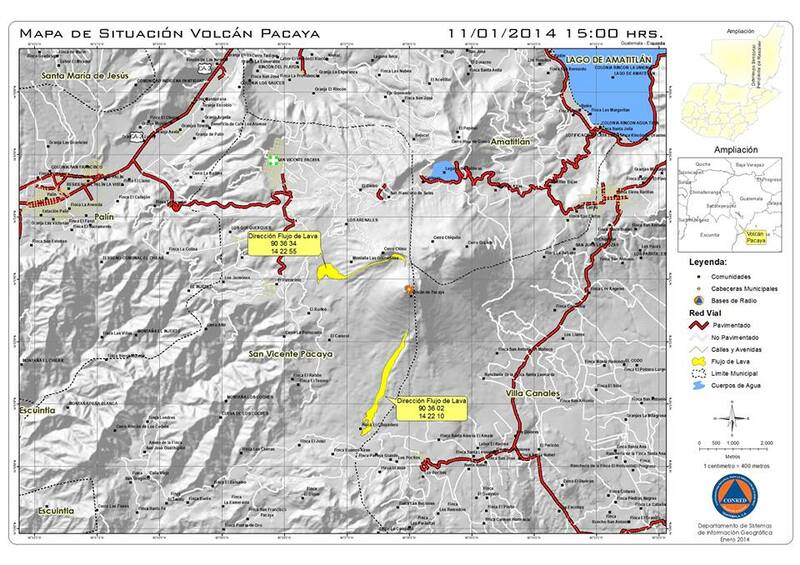 The lava flow from on the north side started from an eruptive fissure at approx 2250 m elevation on the flank of the cone, traveled north towards the caldera rampart of Cerro Chino and then turned left - west - when meeting the topographic obstacle. It is now close (less than 1 km) from the village El Patroncino and has a 500-800 m wide front. On the southern side, a vent opened low at the base of the cone, at approx. 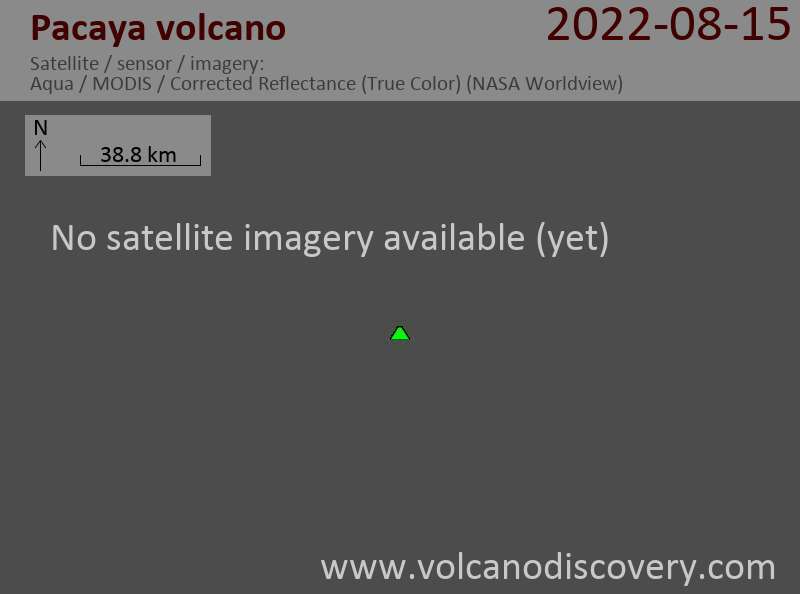 1880 m elevation, and started to feed a lava 200 m wide lava flow that seems to have reached about 5 km length near the Rincon de Pacaya area (part of Los Pocitos) on the SSW side. At the moment, a decreasing tendency of tremor and activity is visible.